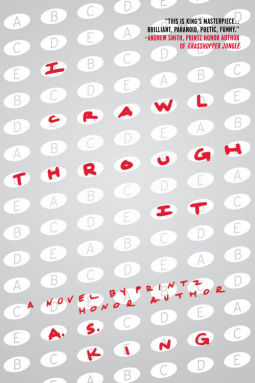 Noa is just getting back to school after the unexpected death of her beloved sister. She’s doing her very best to be strong at school and at home—places that still seem filled with Isla’s presence. But soon after she arrives, a new student begins to fill her thoughts. Before she can avoid it Noa, has fallen for Callum and becomes tangled in a world where Fae are real and dangerous, and Callum and his needs could prove the most dangerous for Noa. 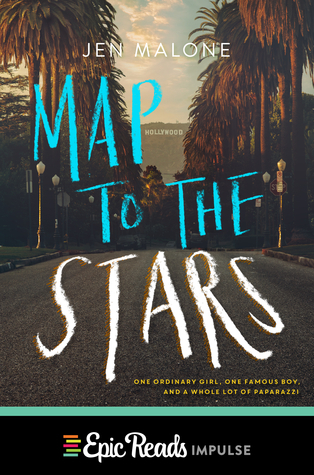 This book drew me in with its emotional intensity. Noa is shouldering a huge burden, attempting to keep her family functioning in the face of terrible tragedy while also trying to make her way back into school. She’s an admirable and sympathetic character. Every conflict in the story revolves around love and loyalty, which I found extremely compelling. It’s a complicated love story–the best kind in my opinion. I read through the story quickly, and I’m already eagerly awaiting books two and three of the trilogy. 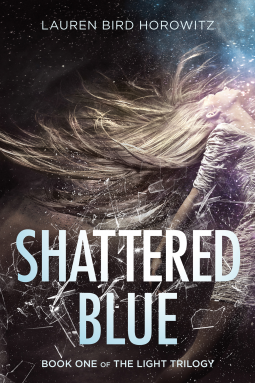 I read Shattered Blue as an electronic Advance Reader Copy given to me by Netgalley and the publisher in exchange for a fair and honest review. When the Nazis took over the Warsaw Ghetto and packed more and more Jewish families inside the walls, it quickly became clear to Irena Sendler that something needed to be done to alleviate suffering and protect everyone she could. Sendler, a social worker, entered the Ghetto under the guise of giving vaccinations to the families there and began to implement a plan to save as many children as she could. From toolboxes with secret compartments that could hide an infant to a well trained dog who could mask the sound of a crying child, Sendler and her associates used guile and nerves to get thousands of children out of the ghetto. Not satisfied with simply getting the children to safety, she carefully recorded information on each child’s original and new names, their parents’ names, and where each child was placed so that after the war there was a better chance that parents and children would be reunited. These pieces of paper were saved in jars, buried in secret, and finally dug up after the war’s end. This amazing story will capture the imagination of students studying World War II and give them insights into both the horrific conditions in the Warsaw ghetto and the heroic efforts ordinary citizens made to save their fellow Polish citizens. The story and paintings in this book convey the darkness of the days, the fearful times, and the terribly high stakes without overwhelming readers with details of violence or suffering that students may not be ready for. This is a good story about how ordinary people can use their skills and intelligence to fight for what it right. As the publisher claims, it is “a gentler introduction to the Holocaust.” The book contains a glossary, author’s note, and end notes. 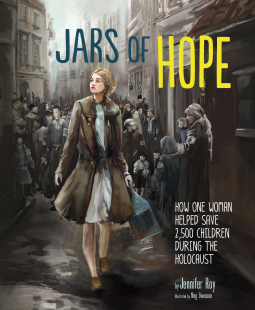 I read Jars of Hope as an electronic ARC courtesy of the publisher and NetGalley.